Store shopping and personal belongings on the back of your transit wheelchair with ease. 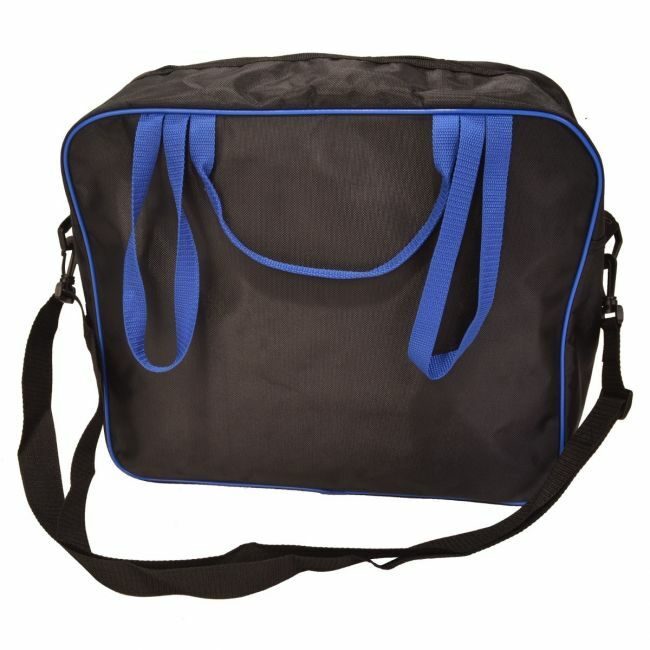 The wheelchair shopping bag is designed to fit neatly onto the back of most standard wheelchairs with push handles, and provides a large zipped storage space for shopping, medication, snacks, and other personal belongings. There are sturdy carry handles on the front and back of the bag, plus fixed loops on either side which easily slip over the push handles on the wheelchair.